This year I was invited to speak at the PHP Conference at Berlin 2014. It was really nice, but I had to decline as I was working hard in a Start up, and I hadn’t the required time in order to prepare the nice conference I wanted and that people deserves. However, having time, I decided to write an article about what I would had speak at the conference. I will cover improving performance in a single server, and Scaling out multi-Server architecture, focusing on the needs of growing and Start up projects. Many of those techniques can be used to improve performance with other languages, not just with PHP. Many of my friends are very good Developing, but know nothing about Architecture and Scaling. Hope this approach the two worlds, Development ad Operatings, into a DevOps bridge. Choose a good hosting. And if you can afford it choose a dedicated server. Shared hostings are really bad. Some of them kill your http and mysql instances if you reach certain CPU use (really few), while others share the same hardware between 100+ users serving your pages sloooooow. 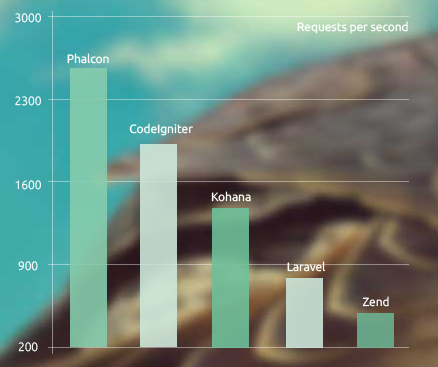 Others cap the amount of queries that your MySql will handle per hour at so ridiculous few amount that even Drupal or WordPress are unable to complete a request in development. Other ISP (Internet Service Providers) have poor Internet bandwidth, and so you web will load slow to users. Some companies invest hundreds of thousands in developing a web, and then spend 20 € a year in the hosting. Less than the cost of a dinner. You can use a decent dedicated server from 50 to 99 €/month and you will celebrate this decision every day. Take in count that virtualization wastes between 20% and 30% of the CPU power. And if there are several virtual machines the loss will be more because you loss the benefits of the CPU caching for optimizing parallel instructions execution and prediction. Also if the hypervisor host allows to allocate more RAM than physically available and at some point it swaps, the performance of all the VM’s will be much worst. If you have a VM and it swaps, in most providers the swap goes over the network so there is an additional bottleneck and performance penalty. If your Sever has few RAM, add more. And if your project is running slow and you can afford a better Server, do it. If you use a CMS like ezpublish with http_cache enabled probably you will prefer to have a Server with faster cores, rather tan a Server with one or more CPU’s plenty of cores, but slower cores, and that last for a longer time to render the page to the http cache. That may seem obvious but often companies invest 320 hours in optimizing the code 2%, at a cost of let’s say 50 €/h * 320 hours = 16.000 €, while hiring a better Server would had bring between a 20% to 1000% improvement at a cost of additional 50€/month only or at the cost of 100 € of increasing the RAM memory. The point here is that the hardware is cheap, while the time of the Engineers is expensive. And good Engineers are really hard to find. And you probably, as a CEO or PO, prefer to use the talent to warranty a nice time to market for your project, or adding more features, rather than wasting this time in refactorizing. Even with the most optimal code in the universe, if your project is successful at certain point you’ll have to scale. So adding more Servers. To save a Server now at the cost of slowing the business has not any sense. Many projects still use PHP 5.3, and 5.4. Latest versions of PHP bring more and more performance. If you use old versions of PHP you can have a Quick Win by just upgrading to the last PHP version. OpCache is shipped with PHP 5.5 by default now, so it is the recommended option. It is though to substitute APC. It will greatly improve your PHP performance. Ensure that OpCache in Production has the optimal config for Production, that will be different from Development Environment. Note: If you plan to use it with XDebug in Development environments, load OpCache before XDebug. In Production disable the profiling, xdebug, and if you use a Framework ensure the Development/Debug features are disabled in Production. Check that Production logs are not full of warnings. I’ve seen systems were every seconds 200 warnings were written to logs, the same all the time, and that obviously was slowing down the system. To detect where your slow code is, profile it in Development to see where it is spent the most CPU/time. Check the slow-queries if you use MySql. Imagine you have a sort of craigslist and you are displaying all the categories, and the number of new messages in this landing page. To do that you are performing many queries to the database, SELECT COUNTs, etc… every time a user visits your page. That certainly will overload your database with actually few concurrent visitors. Instead of querying the Database all the time, do cache the generated page for a while. This can be achieved by checking if the cache html file exists, and checking the TTL, and generating a new page if needed. This sample is simple, and works for many cases, but presents problems. Imagine for example that the page takes 5 seconds to be generated with a single request, and you have high traffic in that page, let’s say 500 requests per second. Not to mention the users or the API client, waiting infinitely for the http request to complete, and other processes reading a partial file (size bigger than 0 but incomplete). If you use crons, a cheap way to generate the .html content is that the crons curls/wget your webpage. I don’t recommend this as has some problems, like if that web request fails for any reason, you’ll have cached an error instead of content. Many Frameworks have their own cache implementation that prevent corruption that could come by several processes writing to the same file at the same time, or from PHP dying in the middle of the render. By serving .html files instead of executing PHP with logic and performing queries to the database you will be able to serve hundreds of thousands requests per day with a single machine and really fast -that’s important for SEO also-. I’ve done this in several Start ups with wonderful results, and my Framework Catalonia also incorporates this functionality very easily to use. Note: This is only one of the techniques to save the load of the Database Servers. Many more come later. If you have an application that is multi-language, or if your point for the Strings (sections, pages, campaigns..) to be edited by Marketing is the Database, there is no need to query it all the time. Simply provide a tool to “generate language files”. So the PHP file is going to be generated when someone at your organization updates the languages, and your code is including it normally like with any other PHP file. You can set cron jobs to do many operations, like map reduce, counting in the database or effectively deleting the data that the user selected to delete. Imagine that you have classified portal, and you want to display the number of announces for that category. You can have a table NUM_ANNOUNCES to store the number of announces, and update it hourly. Then your database will only do the counting once per hour, and your application will be reading the number from the table NUM_ANNOUNCES. The Cron can also be used to make expire old announces. That way you can avoid a user having to wait for that clean up taking process when you have a http request to PHP. Or you can do a trick, that is emulate a http request from bash, by invoking a url with curl or with wget. Set the .htaccess so the folder for the cron tasks can only be executed from localhost for adding security. With Linux is very easy to setup a RamDisk. You can setup a RamDisk and rsync all your web .PHP files at system boot time, and when deploying changes, and config Apache to use the Ramdisk folder for the website. That way for every request to the web, PHP files will be served from RAM directly, saving the slow disk access. 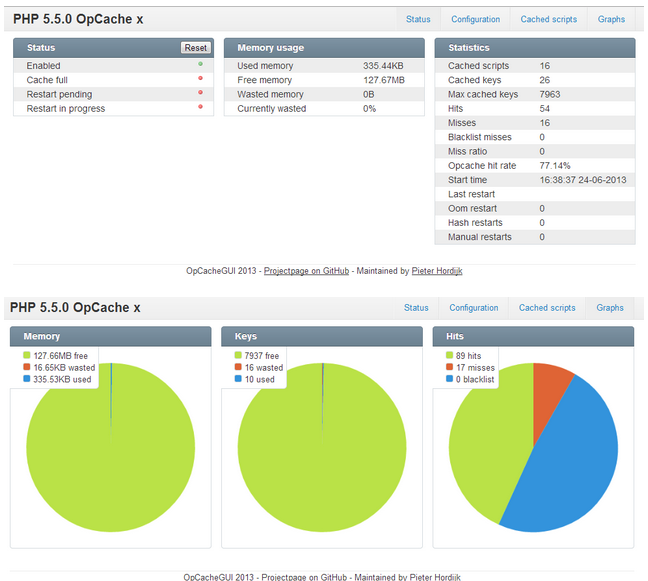 Even with OpCache active, is a great improvement. Also .js, .css, images… can be served from a Ram disk folder, depending on how big your web is. If your project does operations on disk, like resizing images, compressing files, reading/writing large CSV files, etcetera you can greatly improve the performance by setting the /tmp folder to a Ramdisk. If your PHP project receives file uploads they will also benefit (a bit) from storing the temporal files to RAM instead to the disk. Cache Lite is a Pear extension that allows you to keep data in a local cache of the Web Server. You can cache .html pages, or you can cache Queries and their result. It is nice that Cache Lite handles the TTL and keeps the info stored in different sub-directories in order to keep a decent performance. (As you may know many files in the same directory slows the access much). Facebook Engineers are always trying to optimize what is run on the Servers. So they created the HHVM HipHop Virtual Machine that is able to run PHP code, much much faster than PHP. And is compatible with most of the Frameworks and Open Source projects. They also created the Hack language that is an improved PHP, with type hinting. So you can use HHVM to make your code run faster with the same Server and without investing a single penny. You can create and use your own C extensions. I built a PHP extension to compare the performance from calculating the Bernoulli number with PHP and with the .so extension created in C.
That’s 360.37 times faster using the C extension. Not bad. Zephir is a an Open Source language, very similar to PHP, that allows to create and maintain easily extensions for PHP. Phalcon is a Web MVC Framework implemented as C extension, so it offers a high performance. The views syntax are very very similar to Twig. Tutorial – Creating a Poll application in 15 minutes with Phalcon from Phalcon Framework on Vimeo. Many Developers create the tables and never worry about that. And many are using MyIsam by default. It was the by default Engine prior to MySql 5.5. While MyIsam can bring good performance in some certain cases, my recommendation is to use InnoDb. Normally you’ll have a gain in performance with MyIsam if you’ve a table were you only write or only read, but in all the other cases InnoDb is expected to be much more performant and safe. MyIsam tables also get corruption from time to time and need manually fixing and writing to disks are not so reliable than InnoDb. As MyIsam uses table-locking for updates and deletes to any existing row, it is easy to see that if you’re in a web environment with multiple users, blocking the table -so the other operations have to wait- will make things be slow. If you have to use Joins clearly you will benefit from using InnoDb also. MySql has a very powerful Engine called InMemory. The InMemory Engine will store things in RAM and loss the data when MySql is restarted. However is very fast and very easy to use. 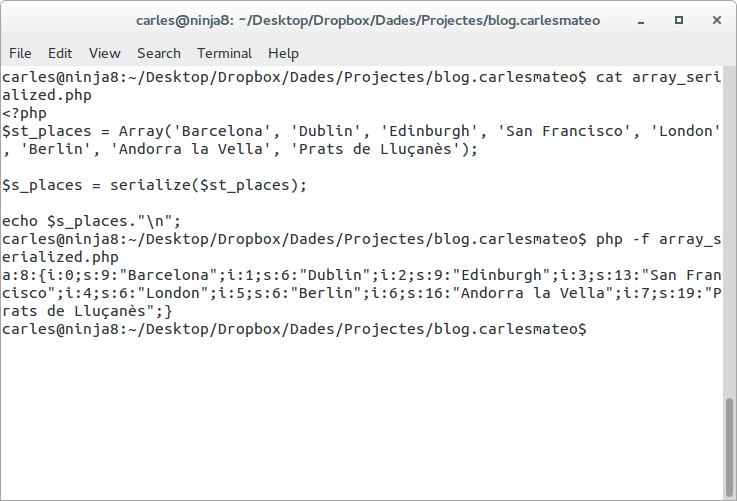 Imagine that you have a travel application that constantly looks at which country belongs the city specified by user. A Quickwin would be to INSERT all this data in the InMemory Engine of MySql when it is started, and do just one change in your code: to use that Table. If your PHP has to communicate with other systems using curl, you can do the http/s call, and instead of waiting for a response let your PHP do more things in the meantime, and then check the results. You can also call to multiple curl calls in parallel, and so avoid doing one by one in serial. Here you have a sample. Guess that you have a query that returns 1000 results. Then you add one by one to an array. Probably you’re going to have substantial gain if you keep in the database a single row, with the array serialized. This can be easily stored as String and unserialized later back to an array. Memcached is a NoSql database in memory that can run in cluster. The idea is to keep things there, in order to offload the load of the database. And as everything is in RAM it really runs fast. You can use Memcached to cache Queries and their results also. You have query SELECT * FROM translations WHERE section=’MAIN’. Then you look if that String exists as key in the Memcached, and if it exists you fetch the results (that are serialized) and you avoid the query. If it doesn’t exist, you do normally the query to the database, serialize the array and store it in the Memcached with a TTL (Time to Live) using the Query (String) as primary key. For security you may prefer to hash the query with MD5 or SHA-1 and use the hash as key instead of using it plain. When the TTL is reached the validity of the data would have expired and so it’s time to reinsert the contents in the next query. Be careful, I’ve seen projects that were caching private data from users without isolating the key properly, so other users were getting the info from other users. For example, if the key used was ‘Name’ and the value ‘Carles Mateo’ obviously the next user that fetch the key ‘Name’ would get my name and not theirs. Where ‘10701577’ would be the user_id of the owner of the info, and ‘FFADCEDBCCDFFFA10C’ a hash of the query. Before I suggested that you can keep a table of counting for the announces in a classified portal. This number can be stored in the Memcached instead. The most common way to store things there is serialized or Json encoded. Be aware of the memory limits of Memcached and contrl the cache hitting ratio to avoid inserting data, and losing it constantly because is used few and Memcached has few memory. You can also use Redis. Use the Production jQuery library in Production, I mean do not use the bigger file Development jQuery library for Production. There are product that eliminate all the necessary spaces in .js and .css files, and so are served much faster. These process is called minify. It is important to know that in many emerging markets in the world, like Brazil, they have slow DSL lines. Many 512 Kbit/secons, and even modem connections!. If you send large text files, or Jsons, you’ll benefit from activating the compression at the Server. It consumes some CPU, but many times it brings an important improvement in speed serving the pages to the users. You can delegate this to the CDN, they have very speedy Internet lines and Servers, so your Servers can concentrate into doing only BackEnd operations. The most well known are Akamai and Amazon Cloud Front. Do you need a Framework? If you’re processing only BackEnd petitions, like in the video games industry, serving API’s, RESTful, etc… you probably don’t need a Framework. The Frameworks are generic and use much more resources than you’re really need for a fast reply. Many times using a heavy Framework has a cost of factor times, compared to use simply PHP. Many Frameworks create a connection to the Database Server by default. But certain parts of your code application do not require to connect to the database. For example, validating the data from a form. If there are missing fields, the PHP will not operate with the Database, just return an error via JSon or refreshing the page, informing that the required field is missing. If a not logged user is requesting the dashboard page, there is no need to open a connection to the database (unless you want to write the access try to an error log in the database). In fact opening connections by default makes easier for attackers to do DoS attacks. With a Singleton pattern you can easily implement a Db class that handles this transparently for you. When you have several Web Servers you’ll need something more flexible than the default PHP handler (that stores to a file in the Web Server). The most common is to store the Session, serialized, in a Memcached Cluster. Apache Cassandra is a NoSql database that allows to Scale out very easily. The main advantage is that scales linearly. If you have 4 nodes and add 4 more, your performance will be doubled. It has no single point of failure, is also resilient to node failures, it replicates the data among the nodes, splits the load over the nodes automatically and support distributed datacenter architectures. To know more abiut NoSql and Cassandra, read my article: Upgrade your scalability with NoSql. And to start developing with Cassandra in PHP, python or Java read my contributed article: Begin developing with Cassandra. A easy way to split the load is to have a MySql primary Server, that handles the writes, and MySql secondary (or Slave) Servers handling the reads. Every write sent to the Master is replicated into the Slaves. Then your application reads from the slaves. 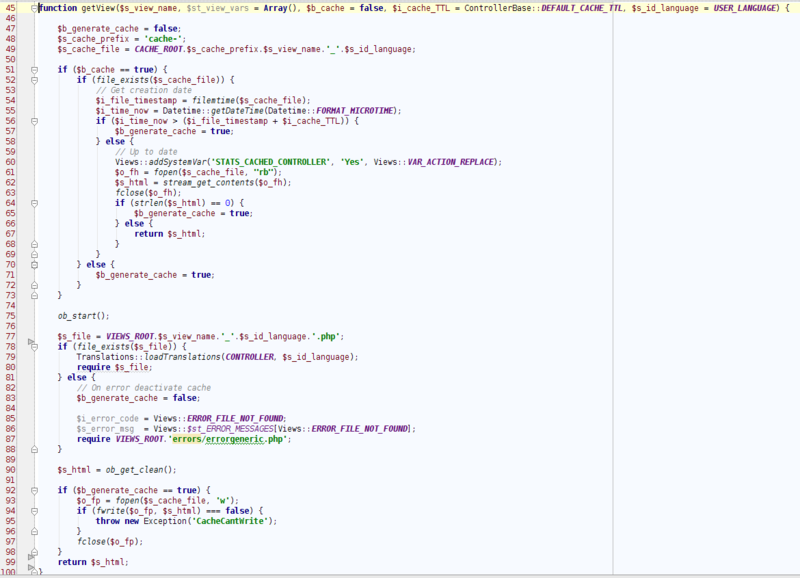 You have to tell your code to do the writes to database to the primary Server, and the reads to the secondaries. You can have a Load Balancer so your code always ask the Load Balancer for the reads and it makes the connection to the less used server. To shard the data consist into splitting the data according to a criteria. For example, imagine we have 8 MySql Servers, named mysql0 to mysql7. If we want to insert or read data for user 1714, then the Server will be chosen from dividing the user_id, so 1714, between the number of Servers, and getting the MOD. So 1714 % 8 gives 2. This means that the MySql Server to use is the mysql2. For the user_id 16: 16 & 8 gives 0, so we would use mysql0. And so. You can shard according to the email, or other fields as well. And you can have the same master and secondaries for the shards also. When doing sharding in MySql you cannot do joins to data in other Servers. (but you can replicate all the data from the several shards in one big server in house, in your offices, and so query it and join if you need that for marketing purposes). I always use my own sharding, but there is a very nice product from CodeFutures called dbshards. It handles the traffics transparently. I used it when in a video games Start up with very satisfying result. Cassandra support asynchronous queries. That means you can send the query to the Server, and instead of waiting, do other jobs. And check for the result later, when is finished. A Cluster alternative to Cassandra. You can put a Load Balancer or a Reverse Proxy in front of your Web Servers. The Load Balancer knows the state of the Web Servers, so it will remove a Web Server from the Array if it stops responding and everything will continue being served to the users transparently. To use a Cookie based Load Balancer is a very easy way to split the load for WordPress and Drupal Servers. That was in the case of the first Web Server. After that, in the next requests from the client it will be redirected to the server by the Load Balancer to the Server that set the Cookie, so in this example WEB07. The nice thing of this way of splitting the traffic is that you don’t have to change your code, nor handling the Sessions different. If you use two Load Balancers you can have a heartbeat process in them and a Virtual Ip, and so in case your main Load Balancer become irresponsible the Virtual Ip will be mapping to the second Load Balancer in milliseconds. That provides HA. Nginx, varnish, squid… to serve static content and offload the PHP Web Servers. If you use the Cloud you can easily set Auto-Scaling for different parts of your core. A quick win is to Scale the Web Servers. As in the Cloud you pay per hour using a computer, you will benefit from cost reduction in you stop using the servers when you don’t need them, and you add more Servers when more users are coming to your sites. Video game companies are a good example of hours of plenty use and valleys with few users, although as users come from all the planet it is most and most diluted. Some cool tools to Auto-Scaling are: ECManaged, RightScale, Amazon CloudWatch. Actually the Performance of the Google Cloud to Scale without any precedent is great. Opposite to other Clouds that are based on instances, Google Cloud offers the platform, that will spawn your code across so many servers as needed, transparently to you. It’s a black box. The idea is to send the jobs to the Queue Manager, the PHP will continue working, and the jobs will be performed asynchronously and notify the end. RabbitMQ is cool also because it can work in cluster and HA. GlusterFs (and other products) allow you to have a Distributed File System, that splits the load and the data across the Servers, and resist node failures. If you have to have a shared folder for the user’s uploads, for example for the profile pictures, to have the PHP and general files locally in the Servers and the Shared folder in a GlusterFs is a nice option. As told before try to have the PHP files in a RAM disk, or in the local disk (Linux caches well and also OpCache), and try to not write code that reads files from disk for determining config setup. I remember a Start up incubator that had a very nice Server, but the PHP files were read from a mounted NFS folder. That meant that on every request, the Server had to go over the network to fetch the files. 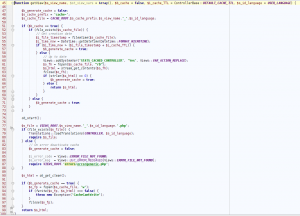 Sadly for the project’s performance the PHP was reading a file called ENVIRONMENT that contained “PROD” or “DEVEL”. And this was done in every single request. Even worst, I discovered that the switch connecting the Web Server and the NFS Server was a cheap 10 Mbit one. So all the traffic was going at 10 Mbit/s. Nice bottleneck. You will need 10 GbE cards and 10 GbE switchs supporting bonding. Use bonding to aggregate 10 + 10 so having 20 Gigabit. You can also use Fibre Channel, for example 10 Gb and aggregate them, like 10 + 10 so 20 Gbit for the connection between the Servers and the Storage. The performance improvements that your infrastructure will experiment are amazing. 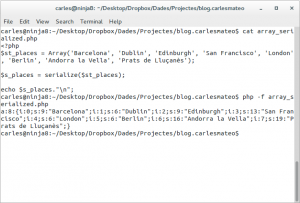 This entry was posted in Cloud providers, NoSql, Operation costs, Performance, Software development, Virtualization, Web development and tagged C, C extensions, Cassandra, Database Sharding, Performance, PHP, RAM, Ramdisk on 2014-08-11 by Carles Mateo.